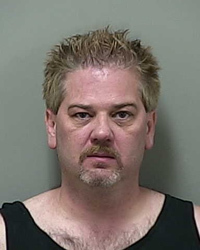 A jury trial has been set for Dec. 16 for a 42-year-old Carey man charged with felony driving under the influence because of two prior misdemeanor DUI convictions within the past 10 years. Joseph Henry Woodside was arraigned on the charge Monday before Judge Robert J. Elgee in Blaine County 5th District Court. Elgee informed Woodside that felony DUI is punishable in Idaho by up to 10 years in prison and a fine of up to $5,000. Idaho law also has minimum sentencing requirements of 30 days in jail and suspension of driver’s license for one year. Woodside is also charged with the misdemeanor crimes of driving without privileges and possessing an open container of alcohol in a vehicle. The defendant, represented by Hailey attorney Michael Kraynick, pleaded not guilty to all three charges. He is currently free on $15,000 bond. The charges against Woodside resulted from a traffic stop in Bellevue at 11:40 p.m. on July 11. Bellevue deputy Michael Shelamer wrote in a probable-cause affidavit that he stopped Woodside, driving a 2012 Honda Civic, near the intersection of Main Street and Gannett Road because Woodside failed to dim his lights to oncoming traffic. Shelamer wrote that Woodside was arrested because he smelled of alcohol, had slurred speech and glassy eyes and failed three field sobriety tests. According to court records, Woodside has three prior misdemeanor DUI convictions in Blaine County, the last two within 10 years of the latest alleged offense, which qualified the new case being charged as a felony. For a 2012 conviction, Woodside was sentenced to 10 days in jail, placed on probation for two years and assessed fines and court fees of $1,682.50. For a 2006 conviction, Woodside was sentenced to five days in jail, placed on probation for six months and assessed fines and court fees of $801.50. Woodside was also convicted of DUI in Blaine County in 1999. In that case, he was sentenced to three days in jail and ordered to pay fines and fees of $580.50.